This necklace uses genuine citrine with a golden yellow color. 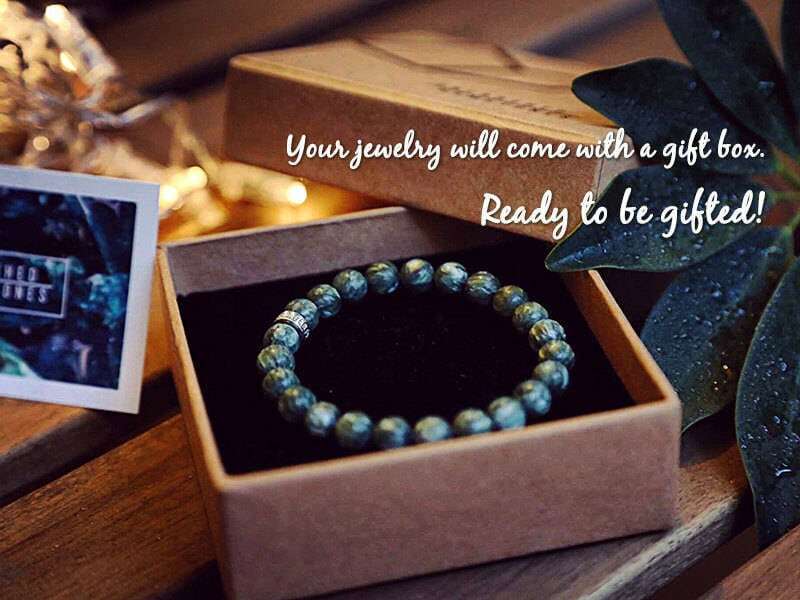 Some natural inclusions are present, but overall quality is quite good. 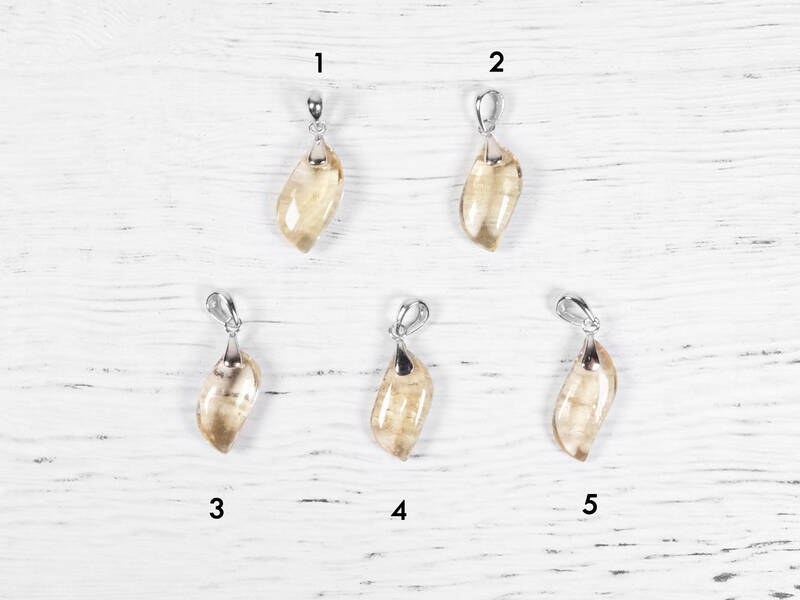 The freeform-shaped citrines are paired with sterling silver hinges for a classic design. 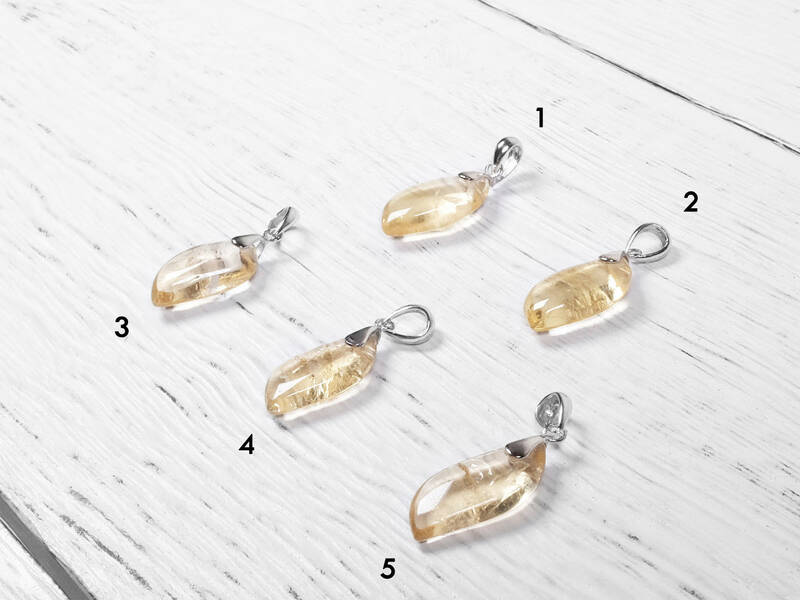 Please be aware of extremely clean citrine - ones with no visible inclusions. It is known as hydrothermal quartz. The synthetic process takes place in a laboratory or a factory. To simply put, a 'seed' material in placed inside a chemical solution where crystals are grown. The result is quartz that have no inclusions or color-zoning. 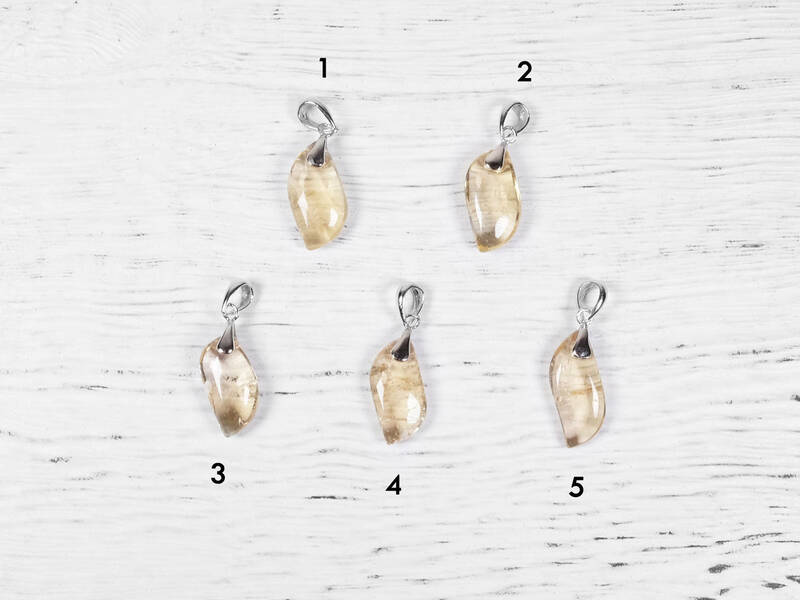 Another type of citrine in the market has a darker yellow brown color. Some of those are actually heated amethyst, as some varieties of amethyst can be heated and turn into a golden brown-yellow, and sold as the more expensive citrine. 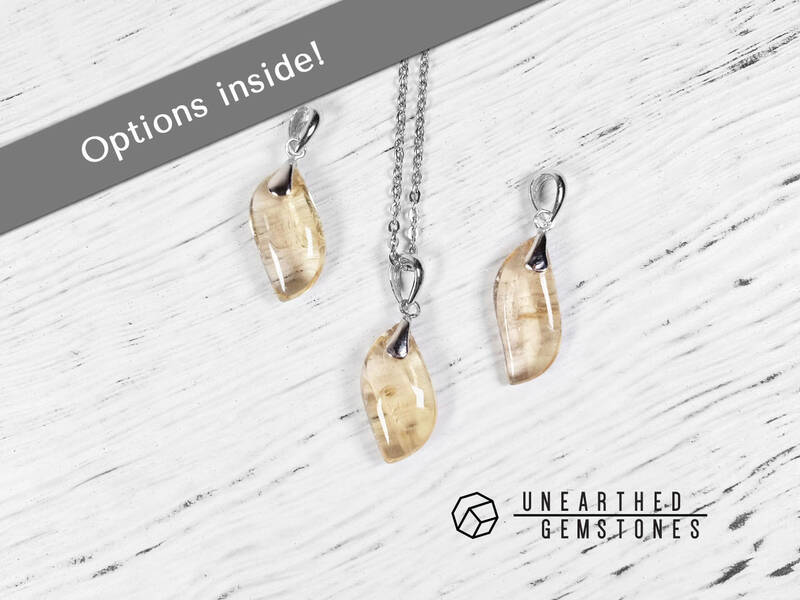 The one Unearthed Gemstones carry is a genuine citrine. 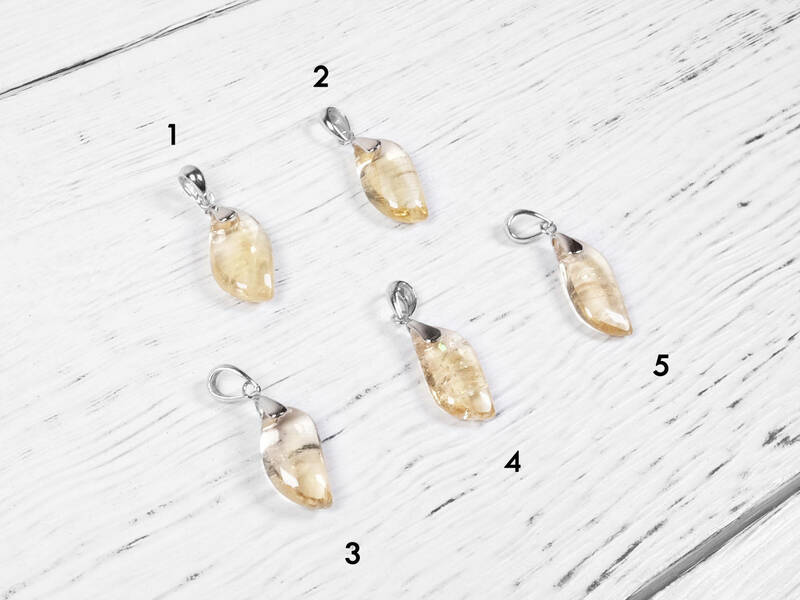 Citrine is the yellow variation of the mineral quartz. Its color ranges from a pale yellow to an orange-yellow. A lot of the citrine in the market is actually heated amethyst as the purple amethyst will turn to an orange-yellow color after heat treatment. 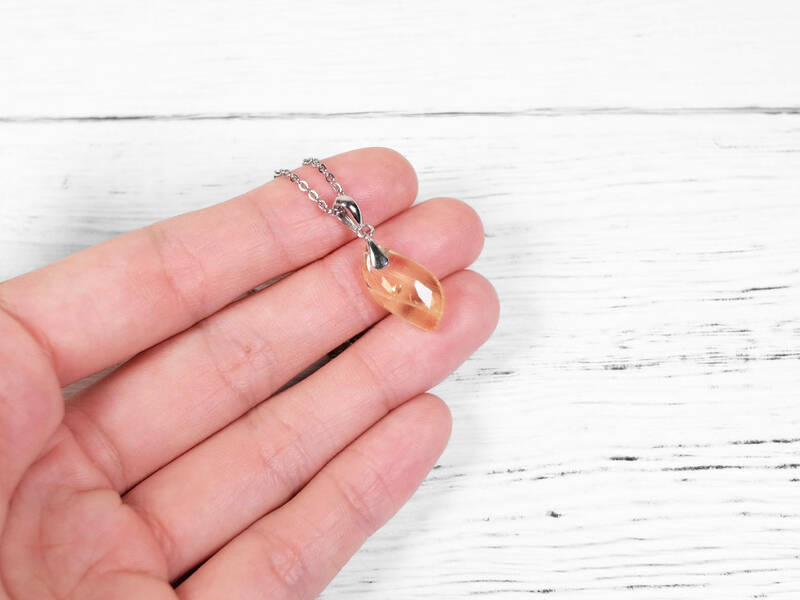 Also, heat treatment to genuine citrine is common as it deepens the color of the gemstone. Along with topaz, citrine is a birthstone of November.